Simple syrups got their name for a reason: they are fantastically easy to make. This peach simple syrup can be added to hundreds of cocktails, or to the top of your morning pancakes. Combine all of the ingredients in a saucepan over a low flame, stirring occasionally. 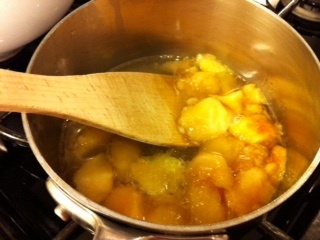 Once the peaches have broken down almost completely, strain the liquid into a container. 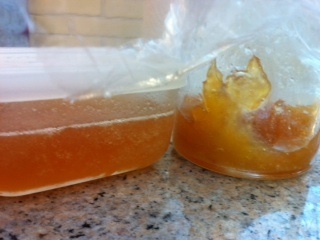 Use any left over bits as jam, and refrigerate the syrup until needed.